You've come to the right place for your next Mule Deer Hunt! for roughly 2 weeks long offering 3 weekends of hunting. Archery season generally runs the entire month of October. successful. Please take moon phases into consideration when booking a hunt, recommended dates will be gladly given to you. Mule deer are curious animals when not pressured allowing hunters to usually get within 300 yards for a shot, terrain will be your biggest factor. Terrain varies from gently rolling hills, to steep canyons, bluffs, to wide open fields. Expect rocky terrain filled with plenty of cactus and desert plant life typical of west Texas. over water, feed, or driving and glassing long distances then stalking closer to make the shot. A comfortable pair of boots and a day pack is recommended as we spend most of the day out in the field to cover as much ground as possible. 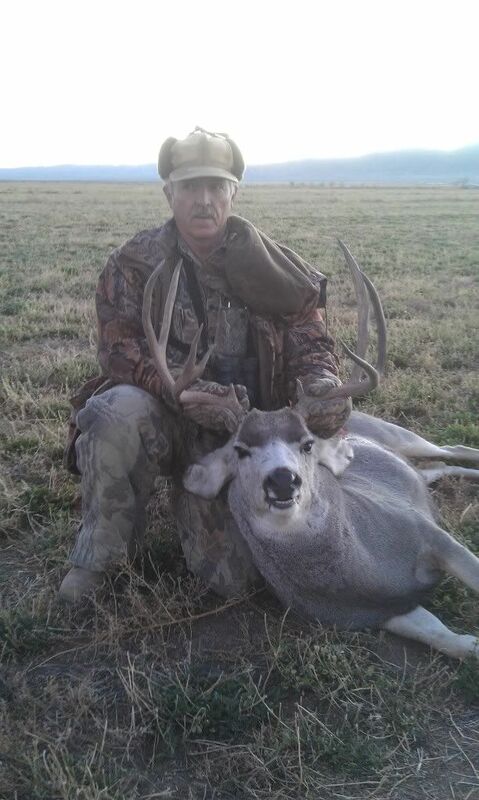 Our guided mule deer hunts on all ranches combined averaged 85% success and self guided hunts 65% success. Deer population and trophy quality vary from ranch to ranch and we have priced our hunts accordingly. will need to purchase the Type 101 Resident Hunting license which is $25.00 over the counter. We Welcome Archery Hunters for General or Archery Season Hunts. A Maximum of 6 Hunters (Hunters must remain the same). predator control in the off season. minded group. More information can be found under the Ranch Information pages for this property. Booked for the 2019 Season! on this particular hunt but many options in the area. 2019 is the First year we will offer Mule Deer hunts on this property. several sight seeing options to do before or after your hunt. of seeing Elk which can be added on as a Trophy Fee. early January. Primary hunting tactic will be safari style and glassing. Mule Deer Buck in the 160" to 180" range. more information on this hunt. Only 2 Offered Each Season- Booked for 2019! round protein and water guzzlers in place throughout the property. A limited number of hunts are offered to the public each season. of notice. Meals and lodging are included. No water, electricity or lodging on ranch. 30 minutes to town (Presidio) where there are hotels or camping is allowed on the ranch at designated site. Minimal roads on ranch, ATV's or horses allowed, this is not a hunt for the faint of heart. Very affordable hunt with good potential for a quality animal, access to just over 1,500 acres of the ranch. Ranch borders Big Bend. Hunters are allowed to set up feeders and water guzzlers in the off season and scout with notice. Please inquire for more information on this particular lease. access. This will be a harder hunt and physically challenging. Van Horn Lower Available for 2019! Sawer Booked for the 2019 Season!